The single panel and sectional garage doors are the two primary types of garage doors. Single panel garage doors are simply one large piece and sectional garage doors have separate panels. Sectional garage doors are more common as suppliers tend to sell more of them than they do single panel doors. 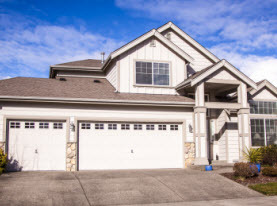 Both options have advantages however, and once you understand the fundamental differences, you can be better equipped to choose which garage door is better for you. With that in mind, we at AAA Action Doors would like to discuss single panel garage doors versus sectional garage doors. More often than not, homeowners will use the price tag as the determining factor to which type of garage door they purchase. Though because suppliers tend to keep sectional doors more readily available, slightly increasing the cost of a single panel garage door, they are still generally less expensive than sectional doors. 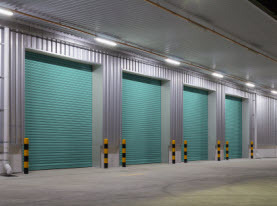 In a nut shell, even with the identical materials used to manufacture the garage door, a single panel door usually has a much lower price than a sectional door. 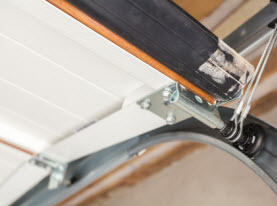 For those who unwisely choose to install the garage door themselves, a single panel door has fewer parts to manage. Coming in a variety of attractive materials and designs, both types of garage doors can be stunning. The segments required to in the layout, however, makes the sectional door work. On the other hand, single panel garage doors have only one section with many options aesthetically. To make their buildings look historically accurate many people that have older homes will frequently use single panel garage doors, while others with modern homes will want the vintage look and still use the single panel garage doors. 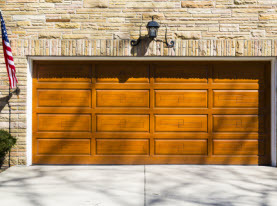 Despite the more aesthetically pleasing appearance, and often the lesser price tag, single panel garage doors usually have more accessories to choose from. The sectional doors often have more modern features than single panel doors. Because of their lack of extension springs, they provide more safety. They can also break and cause injury or let in intruders, if you don’t consistently maintain extension springs. Additionally, a sectional door has a smaller opening clearance than a single panel door, which makes it ideal for small-space scenarios. It is also more durable to intense weather. No matter which garage door type you prefer, call AAA Action Doors for your new garage door. Our professionals can ensure it is installed efficiently and most importantly safely.